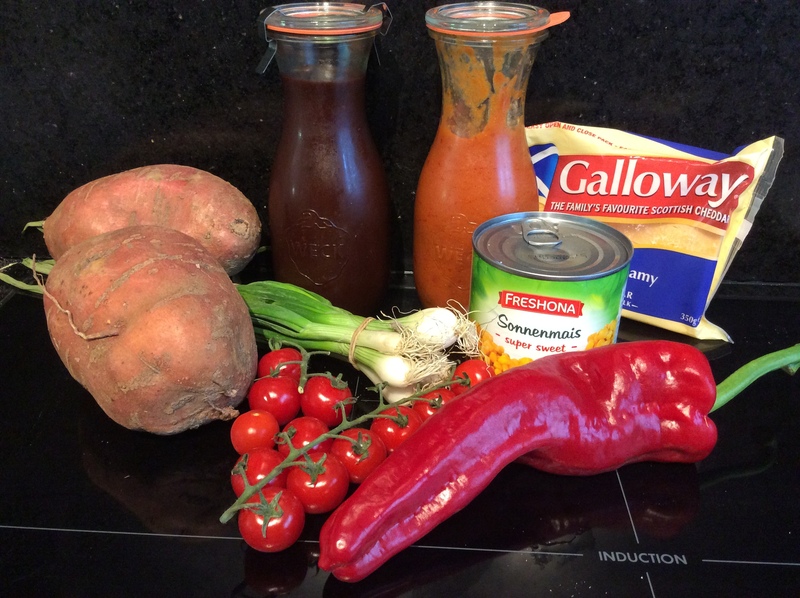 This is a tasty vegetarian enchilada recipe combining Sweet Potato mash with spicy enchilada and BBQ sauces. 1. 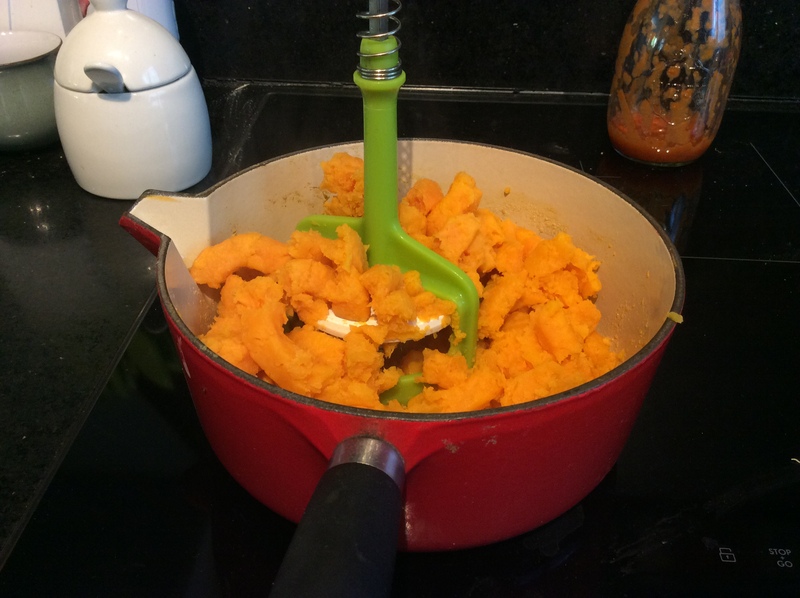 Peel the sweet potatoes and boil then in a pan with a pinch of salt for 20 minutes. 2. Wash and slice the red pepper. Slice the spring onions and drain the tin of sweetcorn. 3. Preheat the oven to 190 degrees C.
4. 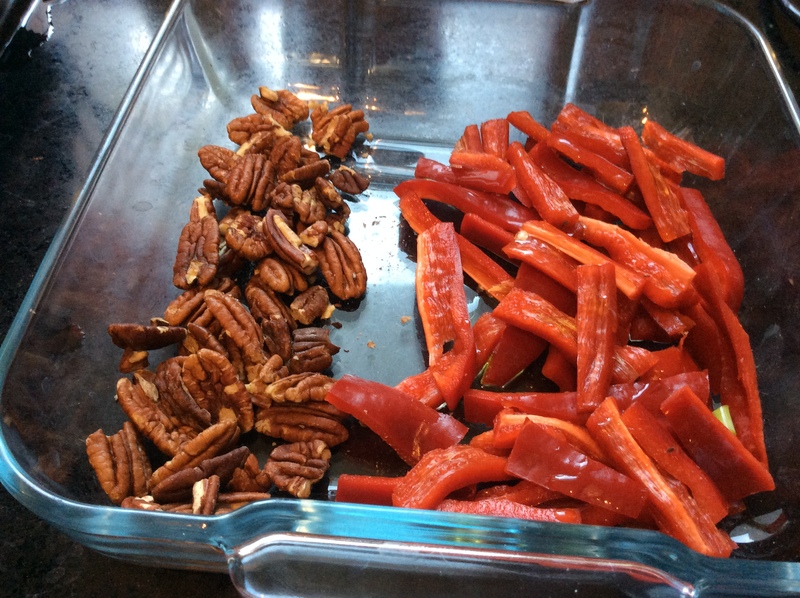 Whilst the oven is warming up, put the pecan nuts and peppers into the casserole dish you plan to cook the enchilada in, drizzle a little bit of olive oil over the peppers. Cook in the oven for 10 minutes. 5. When the potatoes are soft drain the water and then mash the potatoes. 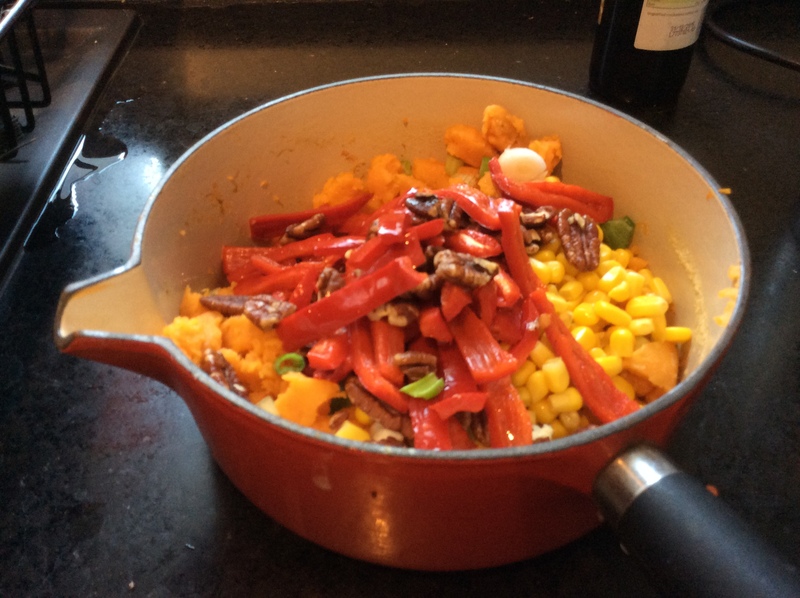 Mix in the peppers, sweetcorn, spring onions, pecan nuts and 3/4 of the sauce. 6. 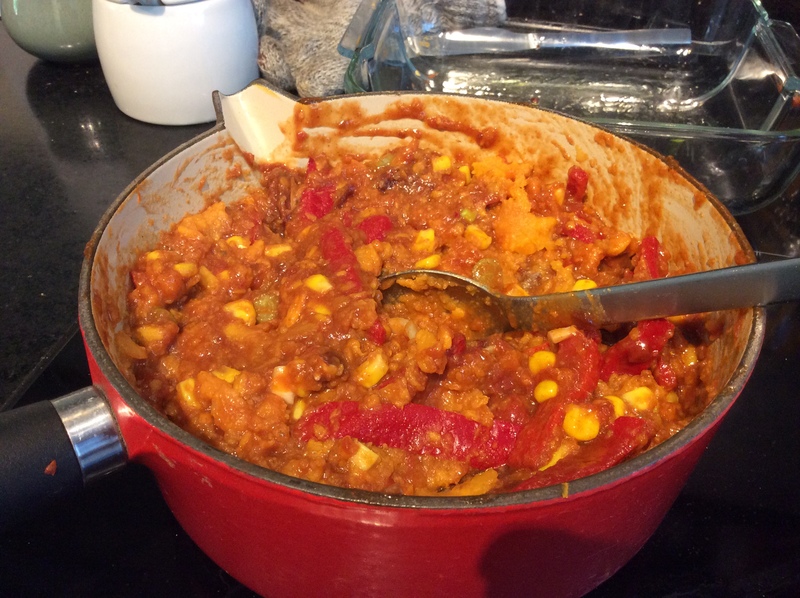 Fill the tortillas with the mixture and then put them in the casserole dish. 7. 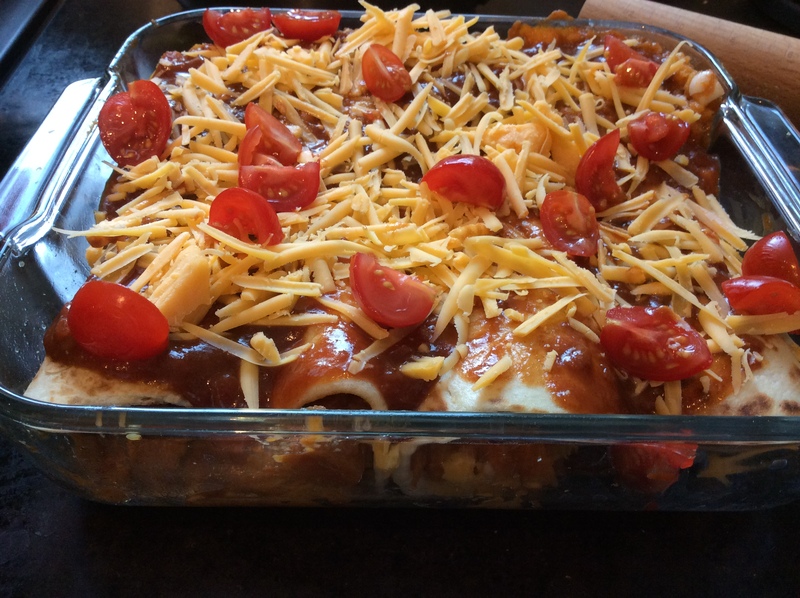 Pour the remaining sauce over the top of the enchiladas grate some cheese and then scatter chopped in half cherry tomatoes. 8. 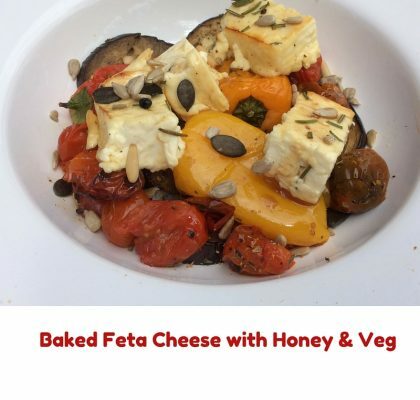 Cook in the oven for 20 minutes. 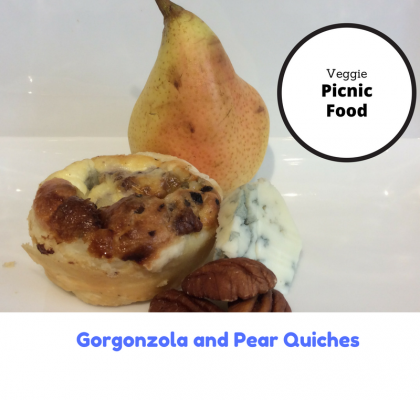 Serve with tortilla chips and guacamole. 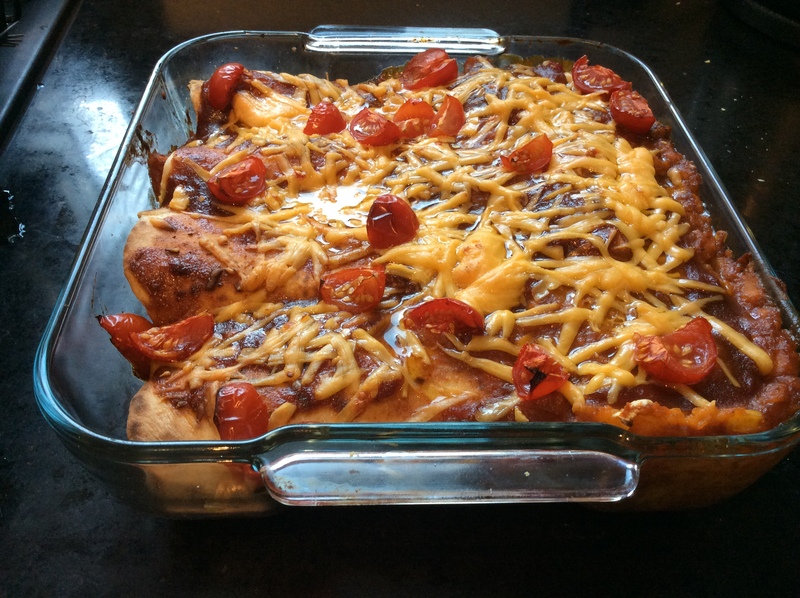 This is an easy recipe for a vegetarian Sweet Potato and BBQ Enchiladas. 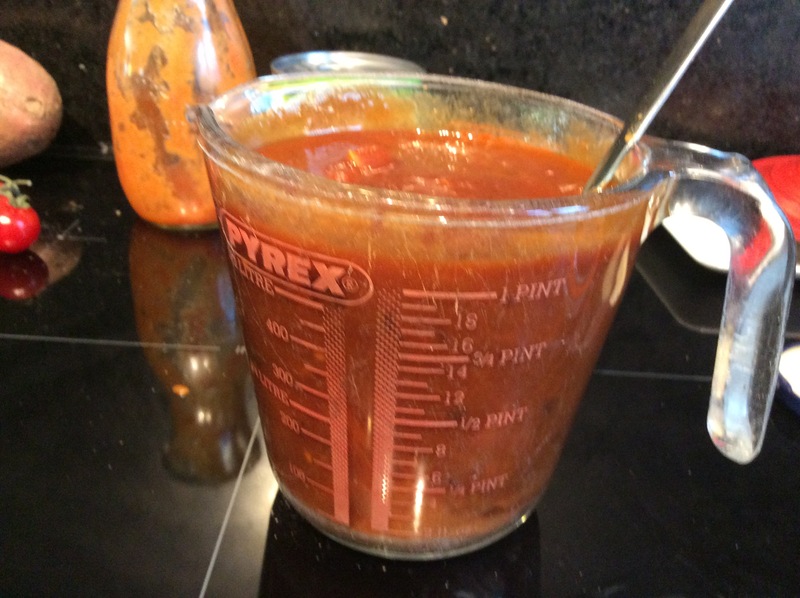 It combines homemade enchilada sauce and Jack Daniels BBQ Sauce. 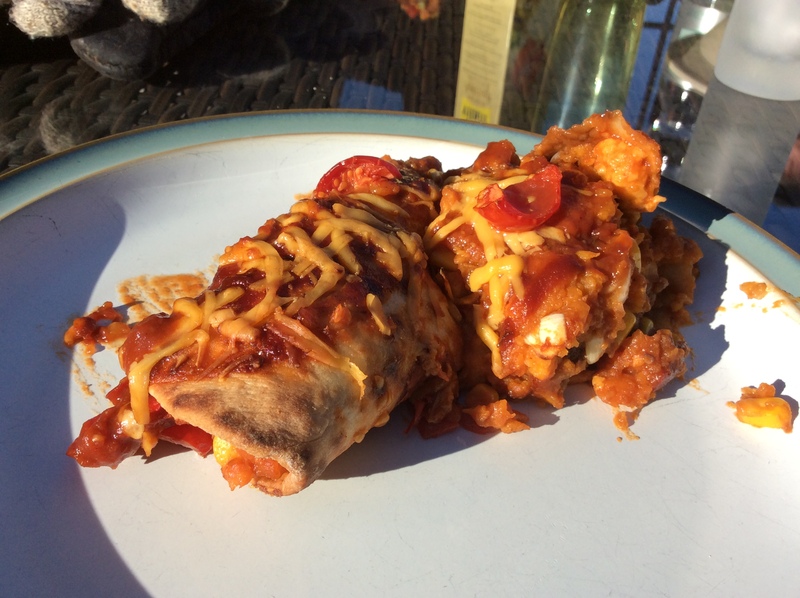 You can use ready made tortillas or have a go at making my flat breads. It has a delicious spicy and BBQ flavour. 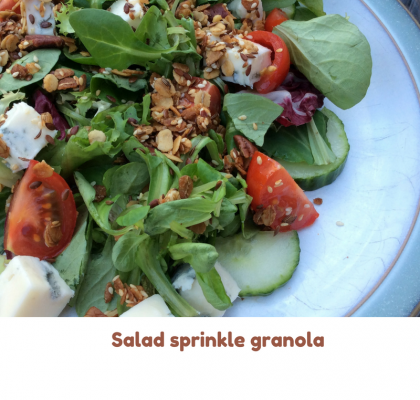 To add a bit of crunch I use toasted pecan nuts. Serve will tortilla chips and guacamole. My meat eaters even liked it. 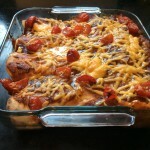 A great vegetarian website is the Garden Grazer it has some other peoples ideas for veggie enchiladas. I think this version is great so please give it a try.